We're refocusing our efforts on pushing the bar higher for the top California teams while continuing to provide a pathway for developing the up and coming talent. Part of this restructure means that we're going to be dropping a few clinics at the end of the Spring season to focus on providing a top tier summer program. In the long run, we believe that the changes that will be occurring will improve the communication and organization of the Skiff Squad, but while we make the transition, we ask that you bear with us, and don't hesitate to reach out by e mailing info@skiffsquad.com with any questions that you might have regarding the program or schedule. 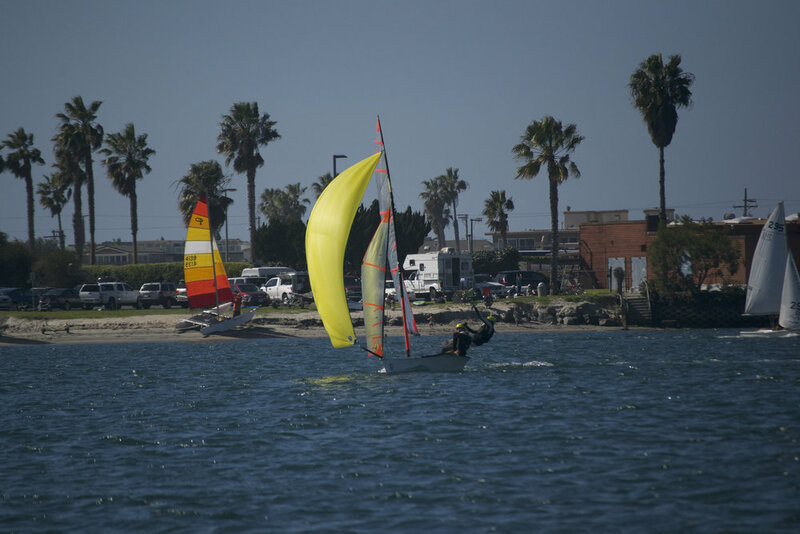 We look forward to continuing to provide a top tier regional training program for dedicated California sailors! This weekends focused was on “winning”. Most teams have a short period of time before they are in a place where they need to perform, and all teams should have this time set in their minds and calendars. But how can you win if you are not the best or if you don't have the time in the boat you want? This question should be going through your head constantly. We might not have that answer for you, and it will change with every individual. But the answer does not not start with copying the best, it starts by being creative and finding a way to sail your boat in the way that you think will make your boat the fastest around the course. And it starts by knowing where you are at, and changing your strategy based on your level of perspective (remember the mountain climber). 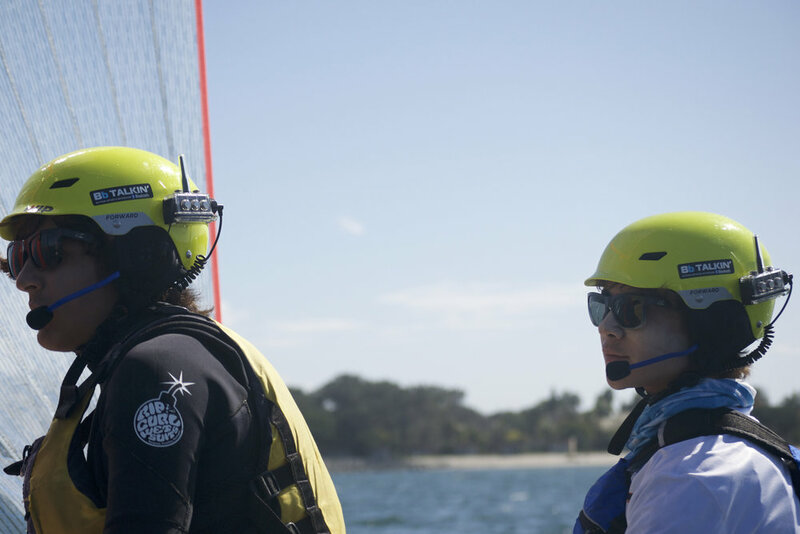 Mechanically: I really enjoyed seeing everybody's improvements on how all the teams looked sailing the boat. figuring out ranges for sail trim, placing your feet and hands during each maneuver in the same place is important. But, remember back to our debrief, there are two ways to sail the boat. You can make yourself look like the best, if you make everything look correct then most likely you will be close to sailing your boat correctly. But doing this does not always mean your boat is going fast. The second way is that it does not matter what you or your sails or lines or anything does, as long as your boat is going fast in the right direction (VMG). Copying what the best look like is a good start, but it might not always work for you or your team, and when you get to a certain level you will never beat the best by copying how they sail. Attitude or your mentality is close to one of the most important things if you want to win. Maybe this is your teams communication, how you psych up yourself or you team member, or what you believe will happen in the future. We talked about the winning mentality and being competitive and I think this will be the thing that will dictate who does well at worlds, who goes to Youth Worlds, etc.. All of you need to think about your goal with your partner and figure out what mind set you will have to approach your competition. After seeing most of you over the past few years and last weekend I see there is a large gap in the door for any team to sneak into the top spot and take control of the US fleet (this should be encouraging) especially with the attitude I see at the top of the fleet. If you are a top team who expects to win, there needs to be a shift in your attitude if you want to make it a reality. 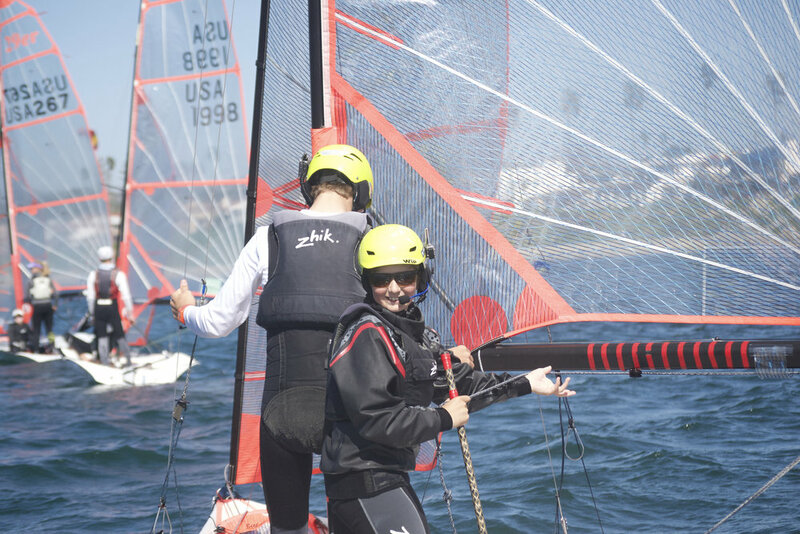 In the last year, the US Sailing Olympic Development Program has raised the bar in the US junior sailing world to new heights by pushing more and more junior sailors towards high performance sailing, and by creating a culture of excellence in the Olympic feeder program. 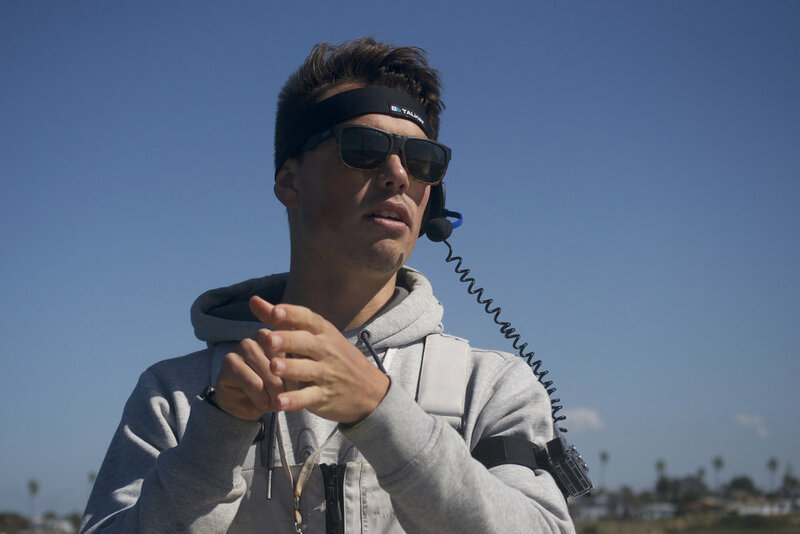 Invitations to top level ODP clinics are generally reserved for the top few teams from each fleet, who have proven that they are ready to take their programs to the next level by working with Olympic coaches, Americas Cup sailors, World Champions, and a team of supporting specialists. Our goal with the Skiff Squad is to help as many of our teams as possible reach that level by providing the best regional program available, and by creating a top caliber training program for athletes who are also working with the ODP. 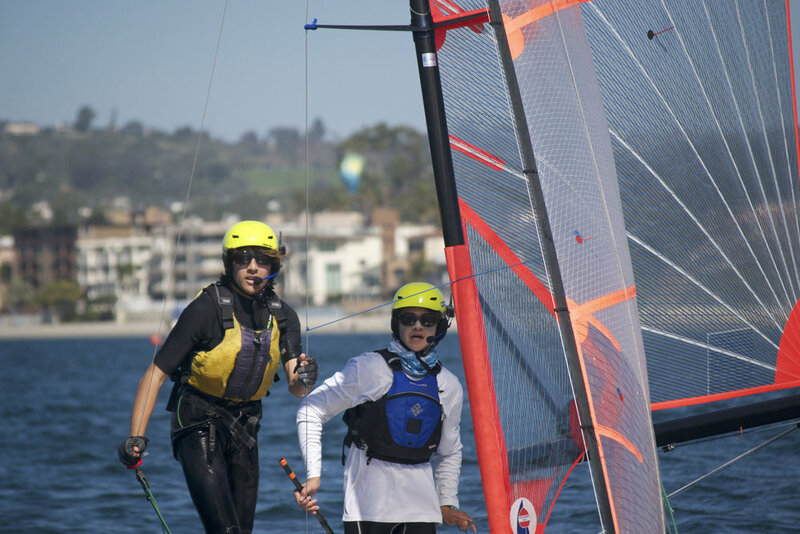 Last weekend, two of our teams headed out to Florida to battle with the rest of the fleet, as Sam and Ryan (SoCal Squad) prepared for the ISAF Youth Worlds in December. 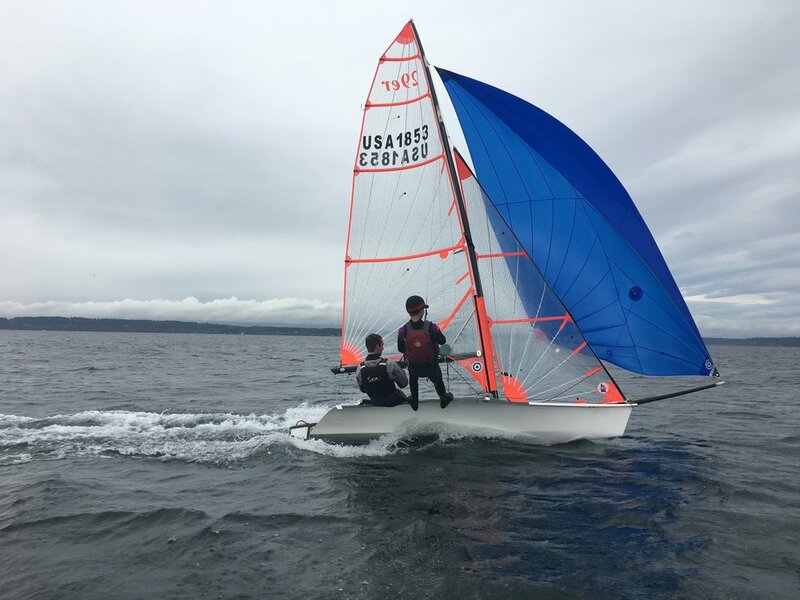 Over the course of three days, the boys worked with ODP coaches on and off the water, in a regatta format, where the pair topped the rest of the US fleet, and mixed it up with the Kiwi girls who won a silver medal at the ISAF Youth Worlds last year. Okay we’re cheating a little bit here by re-publishing an article that Willie wrote a while back, but this is the core of our training and coaching model, and we really believe strongly in it, so take a look and make it part of your process! Original article on www.mcbrideracing.com. How many times have you had a coach tell you, “You need to focus on getting a good start here,” after a rough race? Thanks for the advice coach, but what does, “Focusing on getting a good start,” actually mean? If your mind is occupied with visions of coming off the line cleanly and racing away to get the bull-dog, chances are good that you’re not focused on what really matters: the details. Just as you need to focus on the finer points of the starting process (keeping your bow ahead of the boat to leeward, communicating about incoming threats, choosing the appropriate time to accelerate based on the conditions, etc. ), improving a racing technique requires intense focus on the details. Let’s explore this idea by using the example of straight line speed, upwind in driving force conditions. Ripping around the race course in any given condition can be broken into a number of different factors that become more and more subtle as we dig deeper into them. 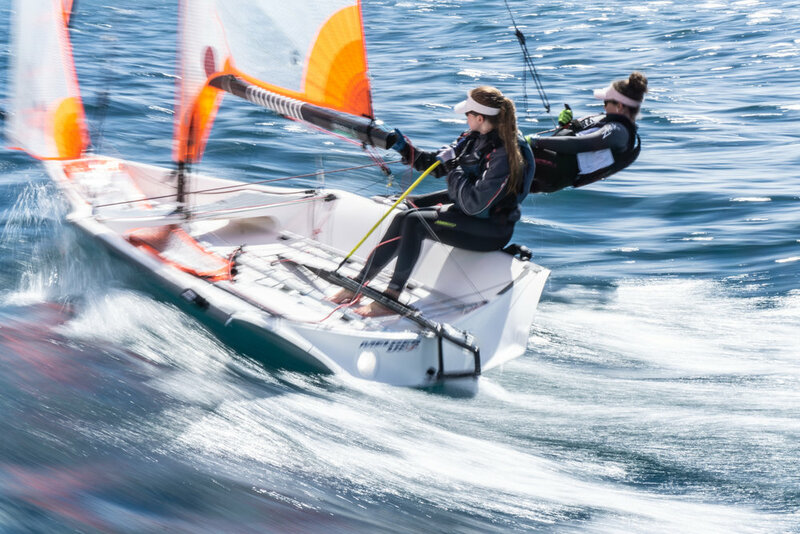 Within upwind speed, “technique” is one obvious, major factor, but within “technique” we can go a step farther and discuss things like weight placement, sail trim, or steering. Within each of these topics, we could go a level deeper to address, for example, puff response in our steering – that is, how do we adjust our steering technique to compensate for a blast of pressure? The more time you spend practicing, watching, and thinking about these factors, the more refined your understanding of the nuances will become, and therein lies the opportunity. As in our earlier starting example, focusing on the end result usually causes you to lose focus on the details which combine to produce success, so the more we can isolate individual, granular skills, and focus on just those skills, the more quickly you’ll see results. For example, to isolate “Puff/Lull Response” within the subject of “Precise Steering,” upwind in driving force conditions, we could practice a drill where the mainsheet and jib sheet have to stay static – no movement allowed – and the skipper is forced to steer to keep the boat flat. 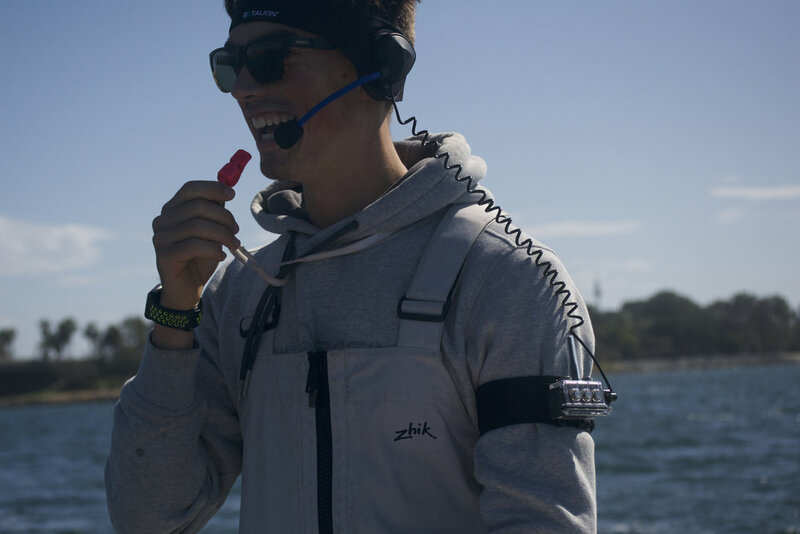 This drill exaggerates the movements required from the steering, but in doing so, it also exaggerates the instantaneous feedback that the skipper feels, so it allows them to hone their steering technique accordingly. Next time you head out to practice to correct a weakness in your technique, dig down into the true underlying issues, and try to isolate each one by inventing a drill that forces you to focus on a single aspect of the issue. Design the right drill, and your practice productivity will sky rocket! One month ago I flew home from the 2016 Olympic Games in Rio de Janiero with a new appreciation for what Olympic success looked like, and the first thing that I did was buy a fresh, new notebook for 2020. The next four years are an empty canvas. The 2017 calendar is not yet set, we have resources to support the program (coach boats, housing on the west coast, support from the US Sailing leadership, etc. 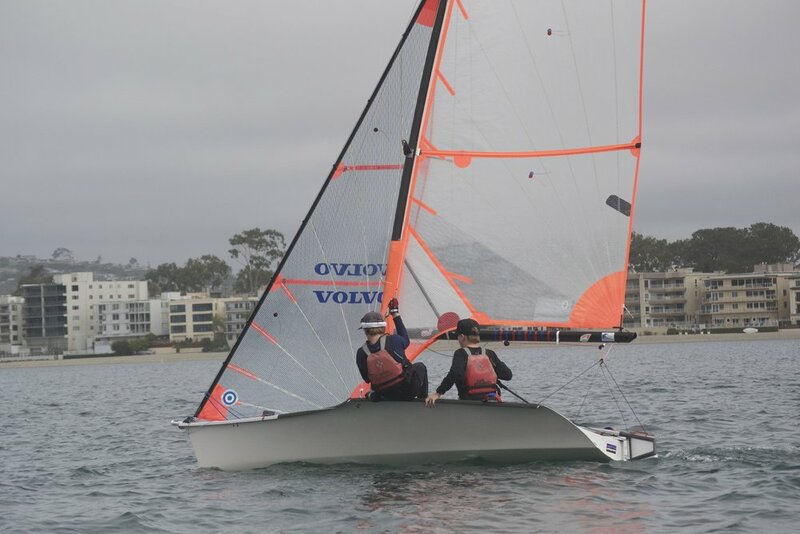 ), my time as a US Sailing coach is potentially "up for grabs" when it comes to coaching hours, we have other coaches interested in helping out, and we even have some institutional knowledge about how to succeed in the skiff fleets. We have everything that we need in order to create an amazing training program to put US 49ers and 49erFX teams on the podium at the 2020 Olympics in Tokyo. 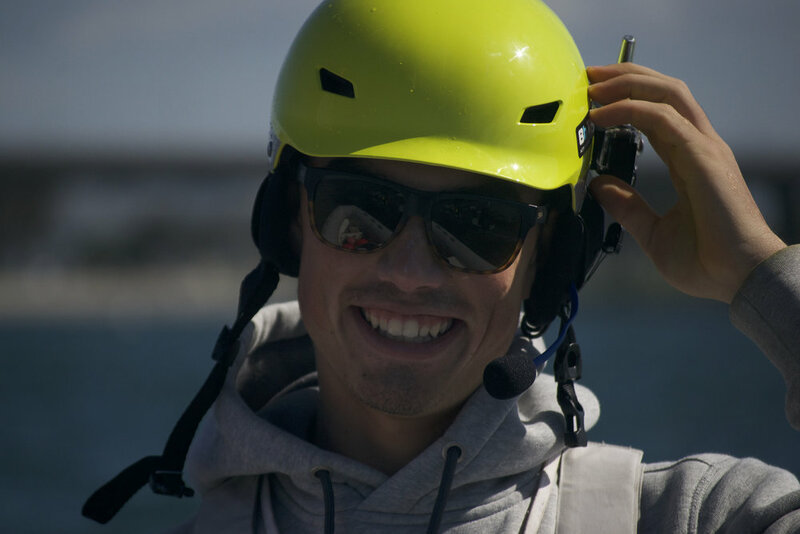 With that said, the biggest component that will determine whether we succeed or fail, is our ability to come together as a group, collaborate, push each other, and ultimately raise the bar for sailing as a whole in the United States. With only a handful of athletes who have their sights set on Tokyo, each athlete is a key piece of the puzzle, and a critical voice in the process. We will have to have hard conversations about how coaching gets allocated when some teams make gold fleet and others do not. We'll have to talk about the reality of how each team is going to collaborate to raise the bar, while simultaneously making plans to beat each of the other teams to qualify for the Olympics. We are going to have to talk money, and who will be paying for what - how everyone will make a living to support themselves while putting in long hours on the water. Some athletes will be involved full time, while others will only be part time competitors looking to ramp up the effort at the end of the quad. We have students, professionals, pro sailors, and some athletes who don't fit into any of those categories. We're not going to put in place the perfect program right out of the gates, but by implementing a collaborative strategy that builds on feedback from all of our participants to grow the program, I know that it can evolve to a really productive, fun place for everyone within the next year or two. I have done a lot of thinking about what it takes to make this happen, and the number one conclusion that it always comes back to is that this cannot be a top-down program. 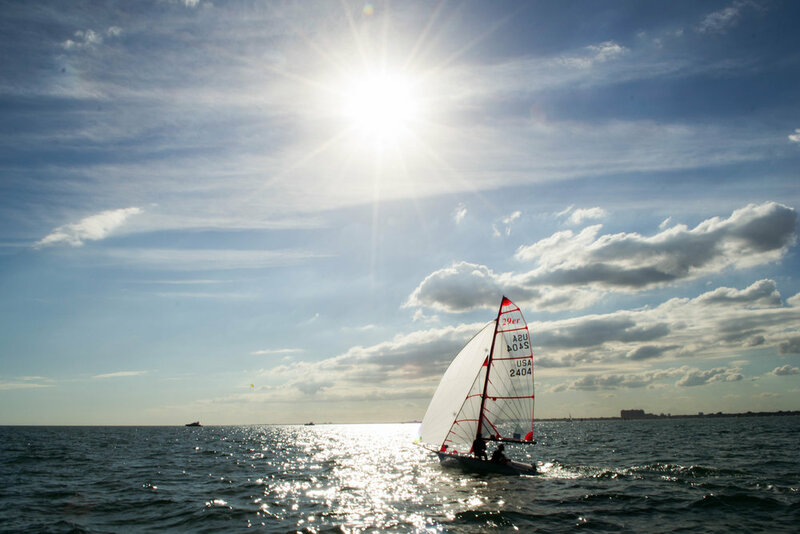 As a US Sailing coach, I can do a lot to support the team, but ultimately, everyone needs to be involved in the calendaring, the planning and the program development to help us create the best tools for our athletes to succeed.